Join us, next Monday, February 16 at 3:00 p.m. in room 204 for the launch of “Travels Through Greco-Roman Antiquity,” a digital humanities project created by two of Dr. Valentina DeNardis’s classical studies classes. The website uses Special Collections materials from the Library to explore some of the sites of ancient Greece and Rome. Dr. DeNardis will discuss the classes and give a tour of the website. Light refreshments will be served. Be sure to stop by the front desk to submit the name of a book you love. 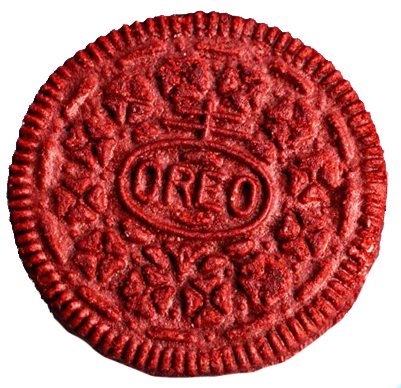 We’ll be giving away five packages of red velvet Oreos! How much fun would it be to bundle up and eat ’em while sitting at The Oreo? You know you want a selfie of that! 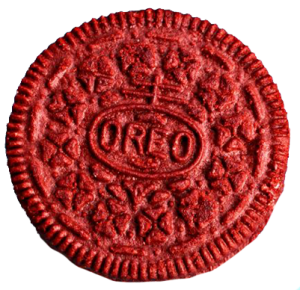 The Oreo cookie giveaway is just part of the fun (albeit the most delicious part)! Check our Library News blog each day for great resources on the Romantic period of art, staff picks, pop fiction recommendations and more! Borrowed from stockphoto company Shutterstock’s blog, the reasons why we’re so compelled to share – and sometimes overshare – on social media. Please consider nominating an eligible student for a Falvey Scholar award! The Falvey Scholar awards are given each spring semester to individual or group projects of seniors who have completed exemplary (and publicly presentable) scholarship or research during their undergraduate careers at Villanova. The awards traditionally have an emphasis on work that has required substantial use of scholarly literature of the sort provided and supported by the Library. The link to the nomination form is below (and is accessed through our Falvey Scholars page); it is available early this year to encourage more nominations. Faculty have from now until March 31 to nominate students. We ask that they please consider nominating a student who exemplifies the award’s criteria! Additional information or contact Laura Matthews. NOW GO FORTH THIS DAWN AND GATHER YOUR STRENGTH AND COURAGE WITH THE SUN!